Cyber security or information technology security is the techniques of protecting computers, networks, programs and data from unauthorized access or attacks that are aimed at exploitation. Application security encompasses measures or countermeasures that are taken during the development lifecycle to protect applications from threats that can come through flaws in the application design, development, deployment, upgrade or maintenance. Some basic techniques used for application security are a) Input parameter validation, b) User/Role Authentication & Authorization, c) Session management, parameter manipulation & exception management, and d) Auditing and logging. Information security protects information from unauthorized access to avoid identity theft and to protect privacy. Major techniques used to cover this are a) Identification, authentication & authorization of the user, b) Cryptography. Network security includes activities to protect the usability, reliability, integrity, and safety of the network. Effective network security targets a variety of threats and stops them from entering or spreading on the network. 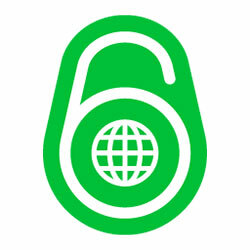 Network security components include a) Anti-virus and anti-spyware, b) Firewall, to block unauthorized access to your network, c) Intrusion prevention systems (IPS), to identify fast-spreading threats, such as zero-day or zero-hour attacks, and d) Virtual Private Networks (VPNs), to provide secure remote access. Information about any security vulnerabilities successfully exploited through penetration testing is typically aggregated and presented to IT and network system managers to help those professionals make strategic conclusions and prioritize related remediation efforts. The fundamental purpose of penetration testing is to measure the feasibility of systems or end-user compromise and evaluate any related consequences such incidents may have on the involved resources or operations. How can Penetration Testing help your organization? 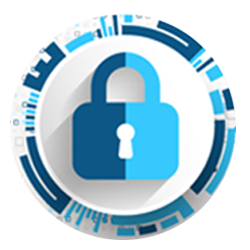 We help you to find out and mitigate flaws in your Network, website, Applications, Mobile Applications etc so that you can concentrate on your business comfortably without worrying about security risks in your organization. Malware is a combination of the words "malicious" and "software." It is often used as a catchall term for threats such as viruses, spyware, adware, and other software installed without a user's consent or knowledge. Viruses are a kind of self-replicating software that can slow down or cripple systems, and destroy or alter data. Spyware is software that spies on computer users' activity to steal passwords, online banking credentials, and other personal information. A "keylogger" records what you type and sends it back to a cyberthief. Adware displays annoying pop-up ads. Scareware mimics a legitimate antivirus or anti-spyware service, saying a computer has been infected, then encouraging users to download (and pay for) a fake security solution. The downloaded software is usually spyware. Botnets are networks of infected computers used for illegal activities, such as sending spam emails or "denial of service" attacks. 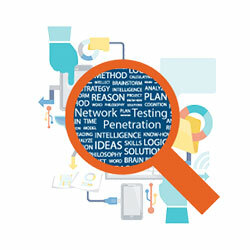 Detect, prioritize, and manage all your IT incidents in your organization. In the field of computer security, security information and event management (SIEM) software products and services combine security information management (SIM) and security event management (SEM). They provide real-time analysis of security alerts generated by network hardware and applications. Why does your organization need SIEM? Your Asset Management system only sees applications, business processes, and administrative contacts. Your Network Intrusion Detection system (IDS) only understands Packets, Protocols and IP Addresses. Your Service Logs show user sessions, transactions in databases and configuration changes. File Integrity Monitoring (FIM) systems only see changes in files and registry settings. None of these technologies, by themselves, can tell you what is happening to your network and your business. So Mazenet does it for you.